Your home, property, and body can be searched for any reason at any time. Authorities may use any means necessary to force information from you if they suspect you of a crime. You may be jailed indefinitely, never having been told what you were accused of, or given a chance to defend yourself. If a trial is offered, a lone judge, in secret, determines your guilt and then authorizes cruel punishment. While the vast majority of Americans are generally law-abiding citizens, most of us will eventually run afoul of the law, perhaps for something as minor as a traffic infraction. Would treatment such as that described above be fair? Most persons in the United States would consider due process quintessentially American. However, the concept of due process of law, and many of the individual rights that are associated with it, evolved from English law. In 1215, King John was forced to accept limitations to his prerogatives in the Magna Carta. These limitations redefined the relationship between the king and the barons, and granted a body of rights and protections to the nobles that would, over time, become deeply rooted in English common law. For example, the king could not financially punish a freeman “for a slight offense, except in accordance with the degree of the offense; and for a grave offense he shall be [fined] in accordance with the gravity of the offense…” To Americans, this ancient right is associated with the principle that “the punishment must fit the crime.” King John also agreed not to seize land to pay for debts, not to take life or liberty without due process or compensation, not to delay court proceedings or punish without testimony from witnesses, nor to issue excessive punishments. Over the next four centuries, the provisions of the Magna Carta became embedded in English common law and protected the rights of all free Englishmen. In 1628, however, King Charles I arbitrarily dissolved Parliament and ruled England entirely by royal prerogative. The Petition of Right, a Parliamentary response to the king’s actions initiated by Sir Edward Coke, reaffirmed the principle that rights stem from the law, and that the king is not above the law. It denounced the king for denying due process, unjustly seizing property, denying trials by jury, and excessively punishing the guilty. While the Petition of Right did not assert any new rights for Englishmen, it advanced the notion that due process required adherence by government to the rule of law. Four decades later, in 1689, monarchs William and Mary accepted – as a condition of their rule – the English Bill of Rights. This document cemented the English tradition of demanding that laws be followed, and it did so in ways that would directly influence America’s Founding nearly one hundred years later. It contained specific protections for property and liberty for the accused and even for those persons found guilty. It is this rich tradition of due process and respect for the rule of law that American colonists would draw on as justification for the American Revolution and then enshrine in the U.S. Constitution and the Bill of Rights. While the Constitution, in its entirety, uses the phrase “due process of law” only twice (as a protection applied against actions by the national government in the Fifth Amendment and as a protection applied against state government actions in the Fourteenth Amendment), the principle of due process is woven throughout the document. Within the main body of the Constitution, Article I, Section 9, for example, protects persons from arbitrary suspension of the ancient writ of habeas corpus. Latin for “you have the body,” a writ of habeas corpus requires that the government prove its detention of an individual is lawful by delivering the accused to a magistrate [judge] for such determination. Article I, Sections 9 and 10 also prevent bills of attainder, or a legislative pronouncement of guilt without trial, and ex post facto laws, or criminal laws that apply retroactively. Additionally, Article III, Section 2 requires that all crimes, save impeachments, be tried by a jury, and Article III, Section 3 specifically defines treason and the criteria for determining guilt in treason cases. The most numerous and most well-known due process protections, however, are found in the Bill of Rights. Indeed, nearly half of the Bill of Rights is devoted to the requirements of due process throughout the three stages of law enforcement: accusal, determination of guilt, and punishment. The Fifth and Sixth Amendments provide a myriad of due process protections throughout the second stage of law enforcement: the determination of guilt. Some have become popularly known to Americans as “Miranda Rights,” (Miranda v. Arizona, 1966), guaranteeing the right to remain silent (self-incrimination, Fifth Amendment) and the right to an attorney even if a person cannot afford one (assistance of counsel, Sixth Amendment). Others may not be as well-known, but they collectively embody the very heart of due process: charges brought by a grand jury of citizens in cases where death may be a punishment (Fifth Amendment); protection from double jeopardy, or being tried for the same crime twice (Fifth Amendment); the guarantee of a speedy and public trial in the location of the alleged crime by a jury of one’s peers (Sixth Amendment); a requirement that a person be informed of the charges (Sixth); and the right to confront one’s accusers and to call witnesses in one’s defense (Sixth Amendment). The Fifth and Sixth Amendments provide a myriad of due process protections throughout the second stage of law enforcement: the determination of guilt. Lastly, the Eighth Amendment extends due process to those who have been found guilty and find themselves in the third stage of law enforcement: punishment. Consistent with the principle that “the punishment must fit the crime,” the Eighth Amendment prohibits government from imposing wildly disproportionate financial penalties, such as a $500,000 fine for petty theft, or carrying out cruel and unusual punishments, such as drawing and quartering. In short, while an individual’s life, liberty, and property can be restricted or denied, the government must satisfy principles of law designed to ensure that all persons are treated justly. While the due process rights enshrined in the United States Constitution are meant to protect the innocent and promote the fair administration of justice, some persons believe that at least some of these rights have been interpreted too broadly, tipping the legal balance in favor of society’s worst criminals. Under the Exclusionary Rule of the Fourth Amendment, for example, evidence of guilt may be inadmissible due to technicalities that are unclear to police officers. Other persons argue that the Miranda Rule may obstruct interrogation of suspects, as the prosecution must prove that the suspect was both fully aware of, and voluntarily waived, his/her right to remain silent and to have a lawyer present during all police questioning. Still other persons question the wisdom of recent Supreme Court rulings declaring the death penalty or mandatory life sentences for anyone under the age of 18, regardless of crime, to be violations of the Eighth Amendment’s prohibition of cruel and unusual punishments. Political controversy concerning due process guarantees is to be expected in a rights-oriented republic. In the end, steadfast protection of rights for those accused of crimes serves to protect us all. 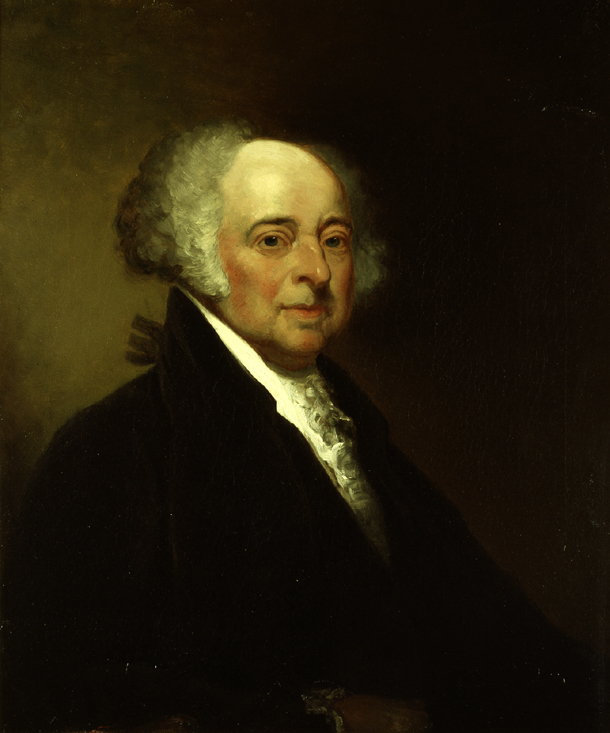 It is the commitment to this principle that makes the United States, as John Adams once noted, “a government of laws, and not of men” (John Adams, Novanglus; Or, A History Of The Dispute With America From Its Origin, In 1754, To The Present Time, 1775). Which of these documents helped inform development of the principle of due process of law in the United States Constitution? Most of the due process protections listed in the United States Bill of Rights deal with fair application of the law to people in which situation(s)? 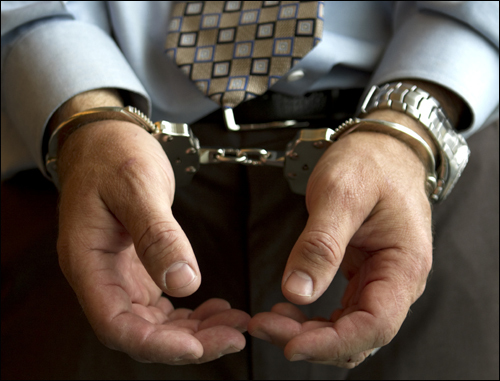 Having been suspected, accused, or convicted of a crime. Having written articles that are critical of government officials. Having owned firearms for personal use. John Adams wrote that the United States Constitution provides the United States with is “a government of laws, and not of men.” Which of the following best expresses his meaning? The law is intended to apply equally to promote justice to everyone; no one is above the law. The United States Constitution is a “living document” whose fundamental principles should change with changing times. The United States Constitution is intended to persist unchanging through the ages; the courts should not depart from interpreting the Constitution strictly according to the literal meaning of the words.